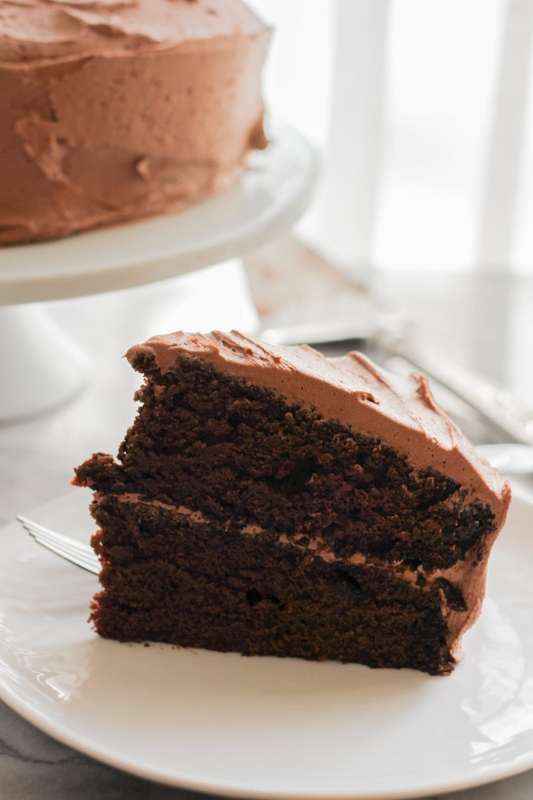 The darkest of chocolate cakes, a rich chocolate syrup, and a creamy, dreamy bittersweet chocolate frosting come together to make one rich and decadent Best Blackout Cake! This is one dessert your family and friends soon won’t forget. My son started his senior year of high school this past Monday. Yes, you heard that right. My baby is a senior! It seems like just yesterday he was starting his high school career, and here we are almost to the end. I’m proud, excited, sad, stressed…I’m just a mixed bag of emotions right now. I know this is all part of parenthood, but it sure isn’t easy. Ever since my boys started school many years ago, I’ve always had a tradition of doing something special on their first and last days of school. Usually it’s a celebratory lunch or a fancy dinner out, and sometimes it’s a special sweet treat. Since I love to bake, I really enjoy making them something homemade, that’s from my heart. As part of my work with the Sunday Supper Movement I was recently sent the Cake Magic! cookbook by author Caroline Wright, sponsored by Workman Publishing for a special #WeekdaySupper event. Let me start off by saying that I quickly fell in love with this book! Caroline has introduced an innovative and easy way to make 100 delightful and flavorful cakes. 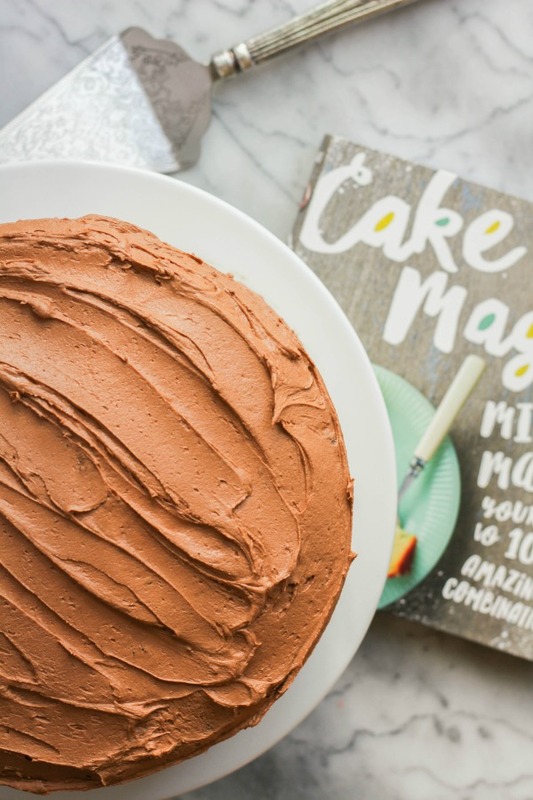 Her simple five-ingredient homemade dry mix is the foundation for every cake in the book. Once you have the cake base, it’s just a matter of mixing and matching a batter, flavoring syrup, frosting, and occasional topping! Her mix-and-match method makes it possible to introduce nearly endless changes on the same basic cake batter just by switching up the flavoring syrups and frostings. Be sure to head to the bottom of this post for a chance to win a copy of this fabulous cookbook for yourself! Once I got my hands on Cake Magic! I couldn’t put it down! I was drawn in by Caroline’s gorgeous photos and all of her wonderful tips. And I knew instantly that I was going to make one of her magical cakes to celebrate my baby’s first day of his senior year. I decided on the Best Blackout Cake, and boy am I glad I did. If you’re a chocolate lover, then I know you are going to love it too! Cake Magic! is all about creating everyday magic with your family and friends. Maybe you want to make a “School Lunch Cake” before the kids head back to school. Or you can celebrate the end of summer with friends and serve up the “Blueberry Lemon-Ricotta Cake.” Looking forward to fall? Then you’ll definitely want to make the “Caramel Apple Cake!” You will discover endless possibilities with Caroline’s flavoring syrups and frostings. 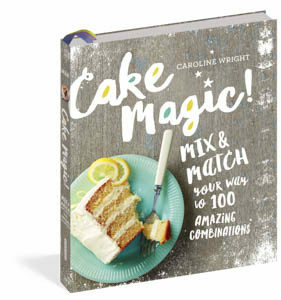 I’m looking forward to baking my way through the Cake Magic! book and trying out the recipes for different family events and holidays. I’m also excited to change up the combinations and create my own magic! The best news of all? You have a chance to win a copy of this fabulous cookbook and make some magic of your own! There are ten #SundaySupper Tastemakers participating in this special event, so we’re giving away 10 copies of the book! Enter to win via the giveaway tool at the end of this post. 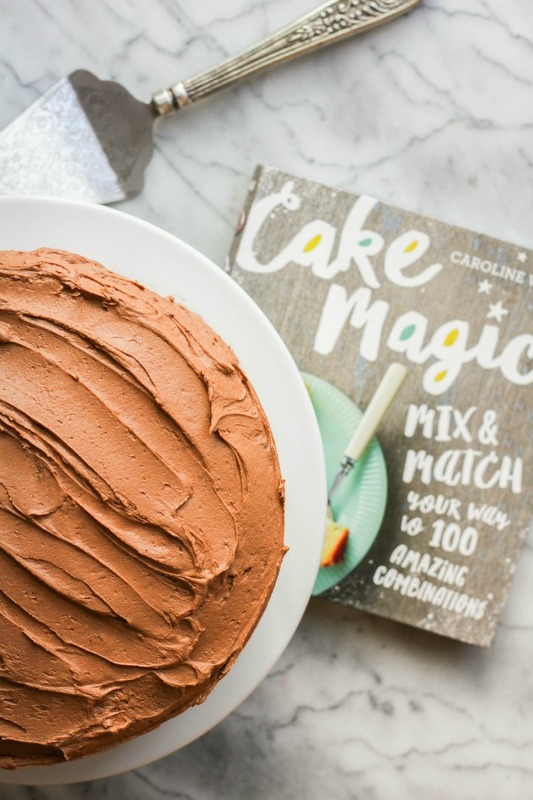 And be sure to check out the other Cake Magic! recipes that we’re sharing for the event! Caroline was kind enough to do an interview with us, which you can read here! 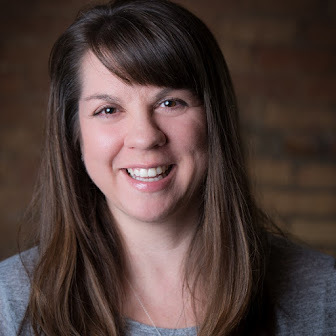 Learn more about her and her amazing Cake Magic! 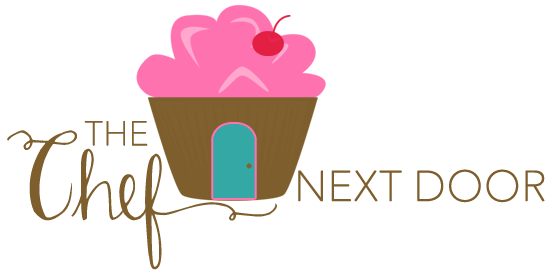 cookbook by following her on Facebook, Twitter, Instagram and Pinterest. Also be sure to follow Workman Publishing on Facebook, Twitter, Instagram and Pinterest to keep up with the latest news on their books! By the way, my family loved the Best Blackout Cake and can’t wait for me to bake it again! 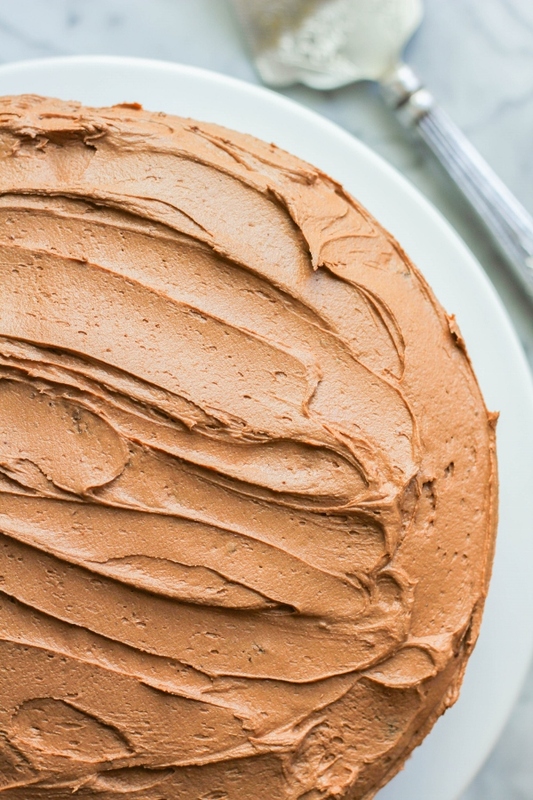 Whisk together the ½ cup cocoa powder, cake mix, and baking soda in a large bowl to combine. Stir in the melted chocolate, yogurt, butter, water, and eggs until moistened and no lumps remain (be careful not to overmix). Divide the batter between the prepared pans. While the cake is baking, prepare the syrup Combine the sugar, water, and salt in a small saucepan, bring to a boil over medium-high heat, and boil for about 5 minutes. Stir to dissolve the sugar, then stir in the vanilla and remove from the heat. Set aside to cool. Use the syrup warm or let it stand, covered, until it reaches room temperature. 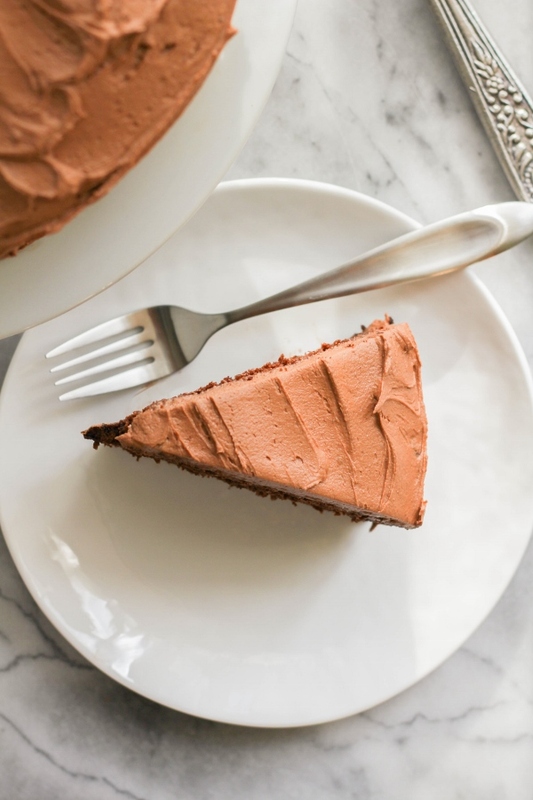 When the cakes are cool and no longer wet to the touch, 1 to 2 hours, make the frosting: Combine the butter, unsweetened cocoa powder, salt, and 2 cups of the sugar in a large bowl and beat with an electric mixer on low speed until incorporated, about 1 minute. Add the remaining sugar and beat on medium speed until the frosting is pale and no longer grainy, about 2 minutes. In a slow, steady stream, drizzle in the melted chocolate and beat until the frosting is very light and fluffy, about 2 minutes.